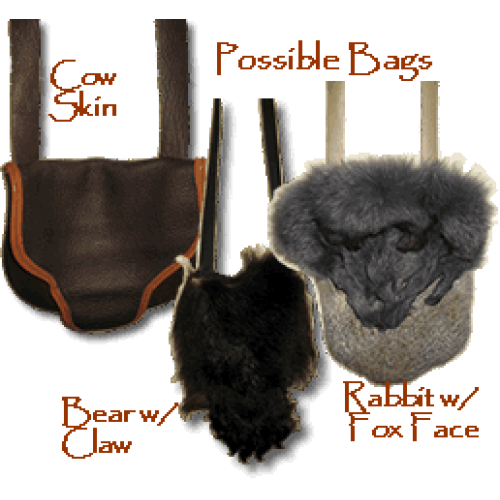 Hand crafted bags available in many different furs and hides. Possible bags were used by both sexes to carry their “possibles." We make them in cow skin, moose and various animal furs. Typical animals and prices are listed below. We also take special orders.